Pig's Ears is a stylish craft beer cellar and gastro pub in Richmond. Pig's Ears showcases over 150 craft beers from select breweries. The food menu at Pig's Ears offers a concise choice of British dishes including a traditional Sunday roast. Do you work at Pig's Ears? any time in the restaurant. Until 20:30 in the bar area. What did you think of Pig's Ears? Spent a Saturday evening for dinner here. Although the mussels were good, the ribs were poor - tasted like they had been microwaved with some sauce thrown on the top. I spent Saturday night and Sunday up with food poisoning - very annoyed. 2 letters of complaint and no reply! = Bad ribs and bad Service. Won't be going back. My fiancé and I wanted to book an area somewhere in Richmond to celebrate our engagement with friends and family. Having chosen the Jubilee weekend, we were either turned away or told to guarantee ridiculous 'minimum spends' by so many other places, before remembering the Pigs Ear, who turned out to be perfect. They were hugely accommodating, offering one or two 'areas' we could reserve and suggesting ways of rearranging the furniture to make things as comfortable as possible. On the day, the staff were excellent - helpful and friendly, especially considering our large group. The choice of food and drink was great, everything tasted lovely and the prices were very reasonable. Highly recommend for a casual yet special celebration. My friends and I first stumbled into Pig's Ears having spent the day sampling the public houses and amenities of Richmond as a celebration after moving to the area. Even though we were a large group the staff bent over backwards to fit us in. The choice of beer on offer is staggering for anyone with even a passing interest, and the food compliments this choice well. The ribs, in particular, were universally agreed to be among the best available. It seems a little unfair to me that other reviewers seem to dwell so much on the change in management and style here. I've been back at least twice, and always been greeted by friendly staff who seem enthusiastic and knowledgeable about the beer and food they serve. All of this in a quirky atmosphere and a choice of beers seldom rivalled means that Pig's Ears is certainly one of my favourite places to go. Just popped into this new beer cellar tonight. Have to say I was pretty impressed. The staff said they had around 200 beers on their menu. This place you will not find a 'stella' or a 'fosters' anywhere. You will only find a range of the finest beers around, and a few good wines & spirits. It also boasts a good food menu and the ribs we had were very good, cooked in a beer sauce following the theme. With all the chain bars/restaurants in Richmond we were told this is an independent, and judging by the offering it would have to be, as it seems unique. I would deifnitely recommend this either to pop in and have a drink at the bar to sample the range, or for a meal, as the lower sections are served as a restaurant. As Brouge regulars, we were keen to try Pigs Ears, but were incredibly disappointed. They've crammed in more tables and it felt overcrowded, and as another reviewer pointed out, it was far too noisy. The refit is confused and uninspiring. Beer prices seem to have gone up, and food quality's gone down - if you used to love the mussels and chips at Brouge, don't try them here. Mussels smelt odd and the sauce was bland, and the 'twice cooked' chips were more like what you'd expect to get in a kebab shop. However, our other meals were fine, and there was nothing wrong with the service, just disappointing to see what they've done to Brouge. We won't be going back. 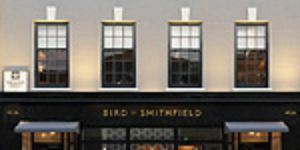 Best beer house in South West London, over a hundred beers from all around the world - including some rare editions from breweries like BrewDog, Magic Rock and Bristol Beer Factory. Food is superb, with loads of yummy mezze like dishes and possibly the best burger in town (according to the boyfriend anyway...) Definitely worth a visit - our waitress was friendly and the bar staff keen to offer tasters and recommendations if needed. Really good venue - we will be back soon! We used to go to the "Brouge" with family and friends to enjoy the lovely atmosphere, great food and friendly service. The new "Pig's Ears" let us so down we'll never visit it again. It's definitely NOT a gastropub! Food is decent but portions are really tiny and expensive. The place is overcrowded, smelly and too loud! A poor pub with tables so close together that you can barely walk from one wall to the other without knocking the elbow of every diner you squeeze past. You disappointed us! Pig’s Ears’ promise of ribs and craft beer is enough to draw drinkers away from the other riverside pubs of Richmond that prefer to champion plastic glasses and macro beers. Descend the stairs from The Hill and you find what seems to be a small and cosy cellar bar with barrels for tables and comfy Chesterfields. As you venture in, a larger restaurant is located in an area at the rear and can accommodate large groups. Even on the hottest of days when the riverbank is heaving, Pig’s Ears is busy with drinkers escaping the heat in this subterranean cellar. One can only imagine that as the weather draws in this place becomes even more appealing. 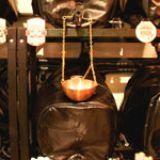 Try the alternative pub quiz on Monday nights, which includes its very own beer tasting round for real connoisseurs, or indulge in the weekday happy hour between 5pm and 7pm, with 30% off the price of cask ales and wines by the bottle. Weekends are just as promising, with discounts across drinks and food options making this pub a popular choice. A meat lover’s dream, the menu at Pig’s Ears is full of tasty whole baby back ribs served in a choice of cider or beer sauce (£16.95), burgers with chips, slaw and gherkin (£8.95) and rib eye steak (£17.95). There are also salads (from £6.75) and pots of mussels and fries (£12.95), perfect accompanied with a Belgian beer or two. Sharing plates are available (starting at £8.95) with Scotch eggs crusted with beer malt or wheat beer battered fish fingers continuing to reference the love of beer at the Pig’s Ear. Perhaps the only addition missing from the menu is real pig’s ears, but pork crackling is available, finely sliced, deep fried and served with aioli. 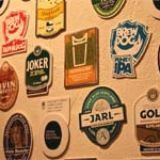 On draught there is a rotating choice of around 10 beers and ciders which include the excellent Williams Brothers Joker IPA and the ever-reliable Schneider Weisse Original. Where this place comes into its own is the bottled selection, with all bases covered - whether it be Wheat, Amber, Lambic, Stout or a hoppy American IPA, the selection runs to over 100 and includes a good range from across the world. Expect Goose Island and Anchor Steam (USA), Little Creatures (Australia), La Chouffe (Belgium) and Nogne O (Norway). 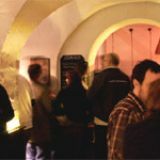 A good selection of UK brewers is represented too, with the likes of the excellent Hardknot, Bristol Beer Factory, Saltaire and Brewdog all behind the bar. 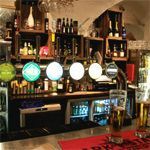 A great alternative to the larger pubs of Richmond and the riverside hustle and bustle, it’s doubted that there is a better beer selection in the area.